Fat. Crunchy. Juicy. Sweet. Pride of Ipoh; and what a humble sprout! I tell you, there really is a HUGE difference between life in Ipoh, and life in KL. A jarring one, smacking one in the face almost immediately upon arrival in this metropolitan crawling with landlubbers perpetually stuck in the rat race, hours spent getting acquainted with your favourite DJ’s every morning and every evening, and the missed opportunity of actually seeing the sun sets on your drive home because you’re trapped within four walls, or the vicinity of that lifeless cubicle from sun up til sun down. Phew. The pace of life has quickened, literally. Hence, the occasional homecoming moments will be relished to their fullest potential; to imagine savouring the good old tastes from humble food stalls and within familiar neighbourhood. Tired of the same old Lou Wong vs Onn Kee debacle? You don’t even have to drive all the way to town, park at dark alleys and still got charged by those ruffians nicked ‘jaga kereta’ boys, then to endure minutes of standing around waiting for a table. Two ‘nga choy gai’ outlets exist in Bercham (aside from Kah Seng that faces the main road, yet coming off short during the last visit) that share almost the same name; 818 and 118. Now if you ask me if Ipoh’s only about bean sprouts chicken and white coffee, I will most probably faint from laughter and cynically dismissing that conventional thought. But then again …. I will NOT deny that Ipoh’s almost synonymous with the signatures mentioned, yet gradually, out-of-towners are taking a liking to the immense selection of street fares that Ipoh houses. The question is …. Where to start and How to fit in everything into ONE trip?! 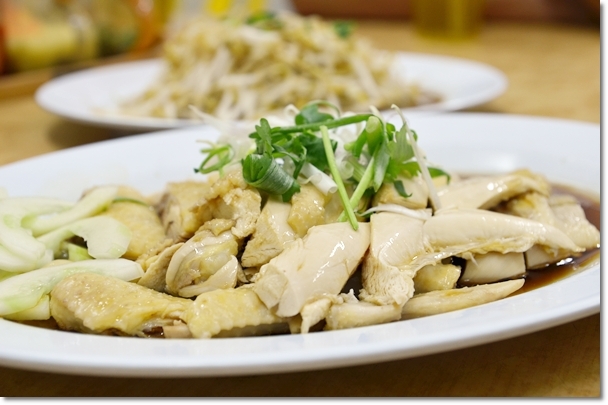 Poached free range chicken in a light soy sauce and sesame oil base. Now, if this is your virginal visit to Ipoh, I won’t hamper your curiosity and will urge you instead to see what Lou Wong, Onn Kee and the likes really are. 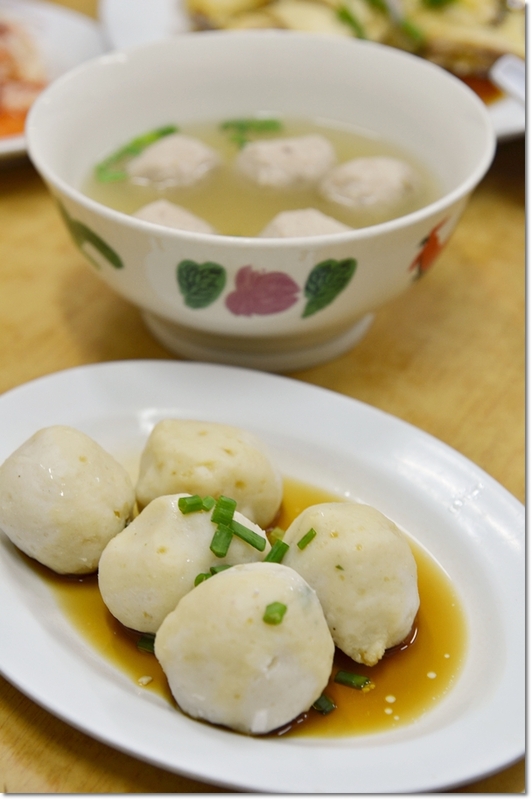 Much like how you won’t miss Malacca chicken rice ball the first time you’re there, or Penang assam laksa when you first crossed the straits to the magnificent island. Pork balls and Fish Paste (yue wat) are good accompaniments in case you’re terrified by the thought of only chicken and bean sprouts?!! Although I won’t claim that 118 (Yat Yat Bat) serves the absolute BEST ‘nga choy gai’ in all of Ipoh, the quality of the offerings were indeed above average. The chicken might came across slightly tougher and over-cooked compared to the others trudging along the lines of being slippery smooth/raw. I do not mind, actually. Since I prefer my chicken to be completely cooked, yet maintaining that firm texture. And meaty, oh yeah. 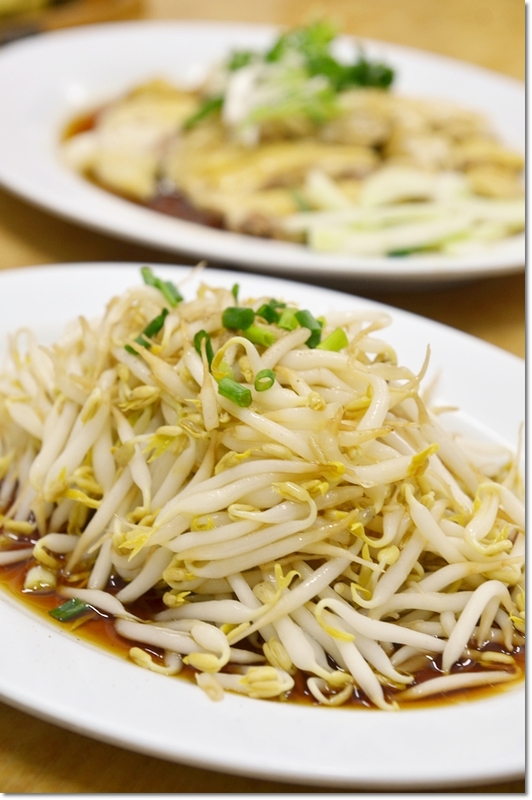 The bean sprouts were of typical Ipoh’s standards, and lightly blanched to retain that signature crunch. The glass chicken feet salad (kerabu-style) was slightly out of place, but a good introductory crash course to the gelatinously-irresistible world of chicken feet. A delicacy to some, but food to many. Clean, spacious, with an area designated for the heat-intolerant ones (we were) blasting with air-cond, 118 proved to be one hell of a contender. We sure will pick this over Kah Seng. Next round? 818 then. 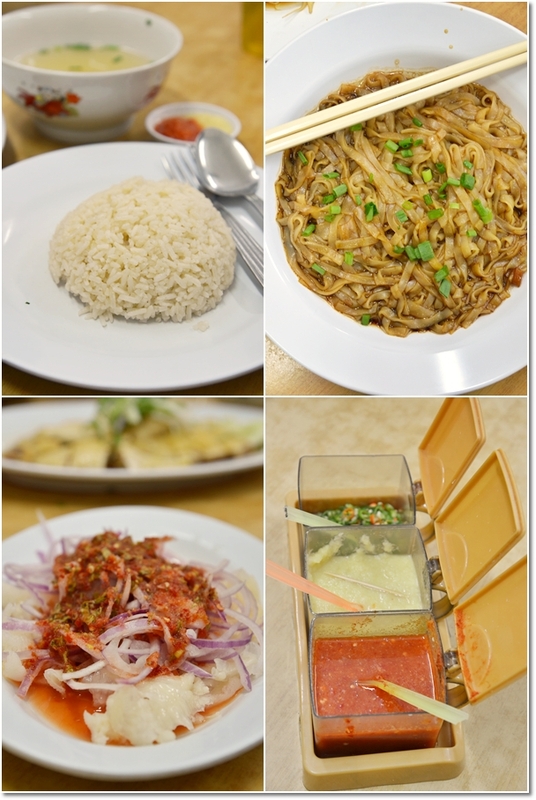 More ‘tauge ayam’ outlets in Ipoh – All About Ipoh’s Bean Sprouts Chicken. didn’t know bercham has this…too long never visit ipoh. The chicken really looks very smooth!! help! we can’t find it, even with google map. sigh. would appreciate some land marks, thanks a lot in advance! Landmarks? Erm, kind of hard as this place is not very prominent. This is in the middle of a row of shops, leading to the inner areas of Bercham. Try going from main road of Bercham, then turning right at Lorong Bercham 5, if I am not mistaken. 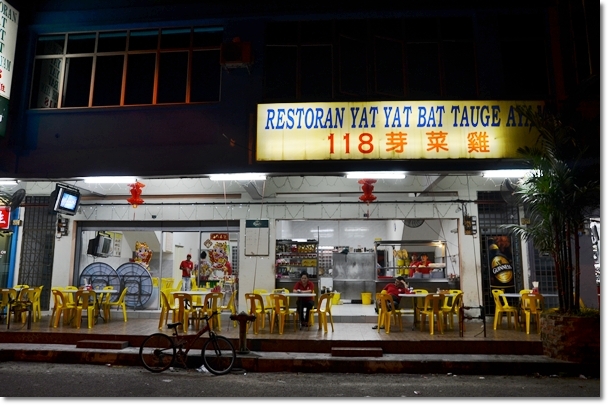 You can find us on google map and search for Restorant Yat Yat Bat Tauge Ayam. And you also can find us on http://www.yatfatt.com for more information about our homemade biscuit!